Large home improvements, such as kitchens, are a major investment, so they'd better have a nice, long life span. The space should still look as attractive and function as well in 10 or 20 years as it does the day the remodeling crew clocks out. We asked our design team, "What goes into creating a timeless kitchen?" 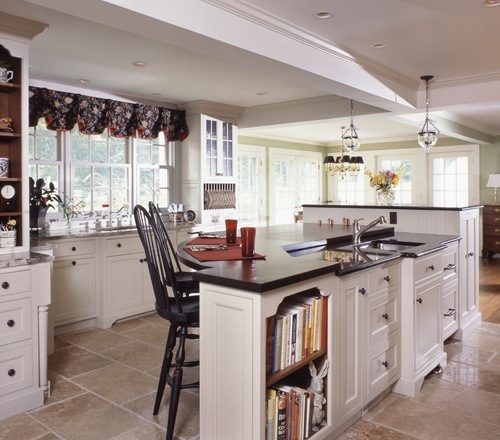 They’ve done hundreds of kitchen designs, from cozy and compact to lavish and spacious, but they all agreed that there are some fundamental rules to designing a kitchen that will stand the test of time. 1. Go With the Flow: Integrate the Kitchen into the Home. A good kitchen integrates with adjacent rooms, and just "flows" with the home. The kitchen isn’t just for meal preparation. It’s the hub of the house, the place where everyone wants to hang out—whether doing homework, working on craft projects, or entertaining casually. A successful kitchen design allows other family members to feel like they’re part of the activities while at the same time being out of the way of the busy chef. These transitional areas are important, and make the kitchen feel warm and welcoming. It may be as simple as a counter with stools, a breakfast bar, or a two-tiered island that your guests shimmy up to for pre-dinner drinks like a fancy cocktail lounge. More open than kitchens of the past, successful kitchens allow easy access to adjacent spaces. What could be better than feeling the warmth and crackle of a fire in the fireplace and hearing the laughter of your children in the great room while you make dinner? Or having easy access to the dining room, with a butler's pantry in between for china and linens? A timeless design works with your lifestyle and those around you for years to come, blending cohesively into your home. A good layout provides a solid foundation for a timeless kitchen. Specifying functional areas within the room help keep it organized and creates efficient traffic patterns. Areas will be designated for food prep, cooking and cleanup, meal planning, serving, baking, storage, messages and mail, and for most of us, coffee. Everything needed is in a logical place, and the traffic flow allows for multiple participants without traffic jams. When items are placed where they should logically be, and everything is readily accessible, guests and family can easily jump in to help the "head chef". It makes sense that they can easily find the things that they will need to use. Pots and pans and spices should be close to the stove. The knives should be located near the cutting surface in the prep area. Glasses and dishes should be located cabinets where they might expect them. If several people are going to use the kitchen, multiple sinks, strategically placed, are helpful. An island that allows access from different sides is a plus since it creates multiple work stations, and is well suited for party buffets. Creating an intuitive layout will ensure that you and others will be able to use the kitchen with ease year after year. The kitchen needs to be consistent with the design and style of the house. Your new kitchen should look like it was original to the house, whether it's an antique reproduction or a mid-century home or a contemporary. It doesn't have to match the rest of the house, but it should complement its design and style. Even an antique home can be updated with modern amenities, yet have a kitchen that look like it belongs. It's all in the details. Perhaps the shiny bagel toaster that you can't live without lives behind the closed doors of an appliance garage. A paneled SubZero fridge blends in with adjacent cabinetry. A big farm sink is functional, stylish, and historically appropriate. 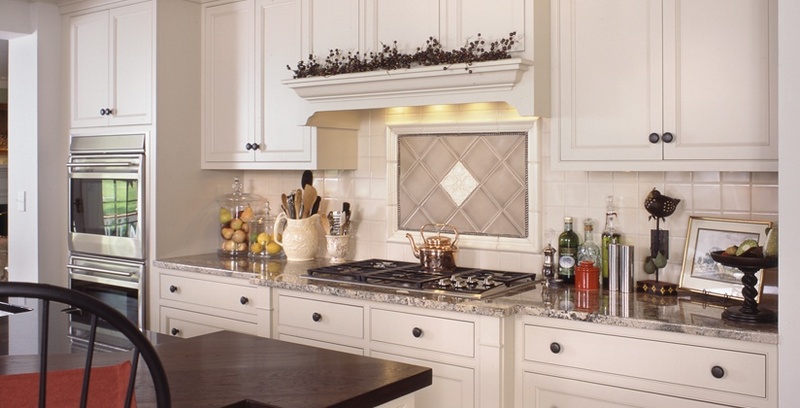 A timeless kitchen includes a classic cabinet door style and clean lines. Consider something like Shaker style, which has been around forever and works beautifully in a range of décors. Inset doors and raised panels are another classic, particularly in our neck of the woods. An unadorned kitchen doesn’t have to be bland. Jazz it up with simple moldings - such as a classic Shaker or traditional crown molding. Add a light rail for subtle yet functional lighting. 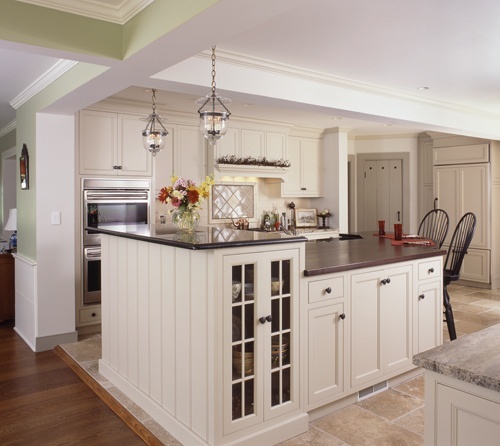 Interesting architectural elements, like a coffered ceiling or wainscoting, beautifully accent a timeless kitchen. Don't chintz on materials. It's important to invest in good materials that will last as long as your functional design. Should you choose to sell, the incremental investment will pay back in the kitchen's longevity and it's marketability. Use the Classic Toolbox to create an inviting and homey kitchen. Using the Timeless Classic Toolbox palette of whites and neutrals does not necessarily make for a cold and industrial kitchen. There are many beautiful off whites and creams that give a feeling of warmth to a kitchen. 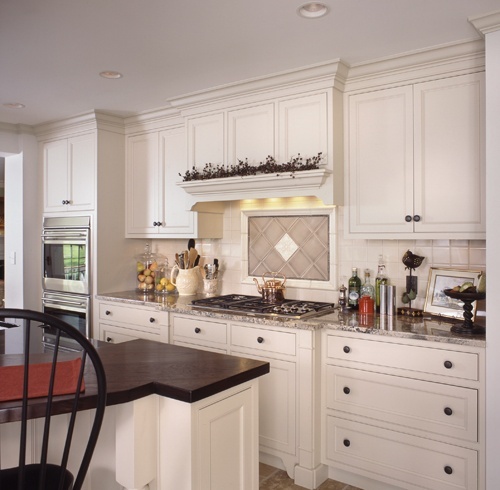 Many good designs marry cabinets in a combination of neutral paints with natural stained woods. Walnut, cherry, alder, red birch and maple are popular. Kitchens with two color blocks create a classic look. We often paint the perimeter cabinets a creamy color with a soft glaze, and offset that with a walnut island in an espresso stain. Succumbing to a trendy cabinet color is the fastest way to date your kitchen. Avoid the hot color of the moment, at least for the major part of your kitchen. If you want to make a statement, do it on a standalone piece, such as a hutch, or on your island. Go for color in the less permanent details, such your chair cushions, window treatments, and accessories. They can be more easily changed as fads and trends wax and wane. Polished nickel hardware and faucets, plus stainless steel finishes on appliances, are stylish and timeless. Timeless counter choices are the ones that everyone likes. While most everyone loves soapstones and granites, don't choose anything with too much movement. Composite quartz counters, such as Cambria and Ceasarstone, are the newest "in thing". They come in a lot of beautiful granite-like textures, and are known for their durability, as well as stain and bacterial resistance. A fabulous counter provides the icing on the cake for a stellar kitchen design. A kitchen that's well proportioned and designed to seamlessly integrate well into your home, with quality materials and color selections, will last the test of time. Your timeless kitchen will be loved by family, friends and future homeowners for years to come.